For special notices and schedule changes, please visit Today at the Zoo. Do you take in wildlife and injured pets? No. The Zoo does not have the space or resources to house ex-pets or animals other than those in our planned collection. What should I do if I find an injured or what appears to be an abandoned animal? The Louisville Zoo cannot accept injured or orphaned animals. You can call Second Chances Wildlife Rehabilitators at 502-228-6333 or visit their website for valuable information at Secondchanceswildlife.org. Please remember, native wildlife including mammals, birds, reptiles and amphibians are protected by state and federal wildlife laws. The Wildlife Biologists with the Kentucky Department of Fish and Wildlife resources recommend that people leave wildlife alone that appear to be abandoned or injured. The Louisville Zoo has over 1,200 animals in our collection. Favorites include gorillas, lions, tigers, penguins, grizzly and polar bears, seals and sea lions, giraffes, pygmy hippos, orangutans, reptiles, hundreds of colorful birds and many more. Visit the Animals section of the website for more details. Will all the animals be out when I visit? Why are some not out when I visit? There are a number of reasons why some animals may not be on public exhibit when you visit: regular maintenance on exhibits; new exhibit construction; health issues and exams or training; bedrooms are often left open so animals have the important choices they need to go in and out of their bedroom/off-exhibit spaces, especially when weather conditions are an issue; if there are babies or breeding protocols; and if darkness is involved, to name just a few. A few of exhibits including Glacier Run, the Islands and Gorilla Forest have animal management programs that call for the rotation of animals on and off exhibit as well as throughout the exhibit spaces to provide for additional enrichment, diversity of daily experiences and rest and time with zookeepers/trainers. Priority is given to the safety and well-being of the animals at all times. Thank you for helping us be expert caretakers. Can I bring my service dog to the Zoo? Service dogs are permitted. Emotional-support, comfort and companion animals are not permitted for the safety of our collection. Please notify the Zoo’s Reception area or ticket taker about your service dog. Why are you charging sales tax for admission, events and other items? Kentucky House Bill 487, effective July 1, 2018, required us to add a 6% sales tax to Zoo admission, special events, Zoo memberships and other select items. Kentucky House Bill 354, effective March 27, 2019 rescinded this tax. We are required to follow applicable laws and regulations as they relate to sales tax. For taxable products, you will see the notation (plus tax). The Louisville Zoo is a non-profit organization. Can I purchase tickets and memberships online? Yes. See our Buy Online page for more details about our online options. Can I use my tickets outside of the noted time period? We offer winter and in-season (weekday and weekend) pricing for general admission tickets. These tickets are valid at the listed price during the season dates noted at time of purchase. If you purchased winter online tickets and would like to use them after the winter expiration date, you may present these at the admission windows to pay the difference between winter and regular rates. If you would like to use your in-season weekday tickets on a weekend, you may present these to the admission windows and pay the difference between weekday and weekend pricing. The Zoo is open rain or shine 362 days a year (closed Thanksgiving, Christmas and New Year’s Day). No rebates, refunds, exchanges or rain dates are offered. Louisville Zoo memberships include parking during regular Zoo hours (not select special events). Members: If you are planning to purchase a guest ticket for someone who is NOT covered on your membership card, you may want to ride together so your guest can take advantage of your parking benefit. If the guest drives separately, they will be assessed a parking fee at the admission windows with the ticket purchase. School buses will not be assessed a parking fee. All teachers and chaperones accompanying the students arriving in the school bus receive free admission and parking ONLY if they are included on the school’s official “Admission Ticket” and pay Zoo admission in a single transaction as one group (and enter the Zoo together). Those arriving and paying separately in other vehicles will be charged full admission cost and a $6 parking fee. Night Safari participants will not pay parking. Camps, YMCA, Scouts and other groups entering and paying as a group will be assessed a $6 parking fee per vehicle. (Reminder that Zoo memberships are not valid for field trip and group admission or parking). Special Public Zoo Events (such as Halloween, Throo the Zoo 5K Run/Walk, etc. ): Parking fees will vary for Zoo Special Events. 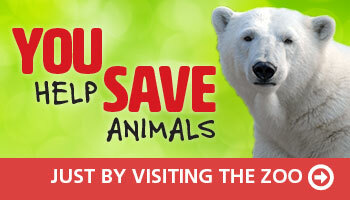 Check online for information prior to arrival at the Zoo. Will the Zoo provide refunds or rain checks if it starts to rain after arrival? The Zoo is open year-round, rain or shine. We do not offer refunds, rebates, exchanges or rain dates. If the Zoo closes due to inclement weather or other unforeseen issues, other conditions may apply. Our gift shops have rain gear for purchase. Be sure to prepare for your visit by checking the weather in advance. Is there an age requirement for entering the Zoo? All ages are welcome at the Zoo. We require anyone under the age of 11 to be supervised. Yes, click here for more details. Can I bring food or coolers into the Zoo? Food and coolers are welcome at the Louisville Zoo. Picnic areas are available first come, first serve. Alcoholic beverages, glass containers and straws are prohibited. For a full list of Safety Guidelines, click here. Do you have motorized wheelchairs? Motorized wheelchairs/scooters can be reserved, payment due at time of reservation, for $35. (Walk-up rate is $30) A driver’s license/photo ID is required to finalize the rental at the Zoo. Guests must be 18 years of age to rent/operate an electric scooter. To reserve, call 502-238-5319 (24-hour cancellation notice required for full refund). We also have a limited number of non-motorized wheelchairs that are available for $10 per day also on a first come, first serve basis. Please note there is a 300 pound weight limit for the electric scooters due to the hilly terrain. If you find you need special assistance during your Zoo visit, please contact the nearest Zoo employee (recognizable by Louisville Zoo polo shirt and radio) or dial (502) 459-2181 for the Zoo receptionist. Is there a separate fee for the Splash Park? No, admission is currently included with your Zoo Membership or regular Zoo admission. For details, click here. Do you have a Zip Line? No, we do not feature this attraction. Visit Rides and Attractions for a complete list of rides and attractions. Do you have discounts for the military? Active duty military personnel receive free general admission (not valid for ticket packages with rides/attractions, special ticketed events or memberships.). Dependents of active military personnel receive 10% off general admission. Retired military personnel receive 10% off general admission. Present a valid military ID at the Zoo membership office to discuss membership discount options. We generally offer free admission for active and retired military and their dependents on Veteran’s Day (with valid ID). Verify on our pricing page before attending. Ft. Knox ITR offers discount general admission tickets. for more information, contact ITR at 502-624-5030. Is smoking allowed at the Zoo? Smoking (tobacco and e-cigarettes) is prohibited throughout the Zoo except in several designated areas. See the Zoo map for current Smoking Zones which are marked by yellow triangles. We appreciate your cooperation. How do I get a job with the Louisville Zoo or volunteer to help out? Please visit our Human Resources or Volunteer sections of the website. Does the Zoo have a recycling program? We do — and thanks to our partner Westrock, recycling at the Zoo is easier than ever! Read about our great new recycling program. What else is there to do in Louisville after we finish up at the Zoo? Louisville has lots of interesting and exciting attractions and tons of things to do and see. Visit gotolouisville.com for more information.